​ backed by first class training, service and support. John Anderton, Digital Dental's MD, has been involved in digital imaging for over 20 years. He launched the first wireless intra oral camera from Digital Doc n the UK in 1998 and still supplies cameras from Digital Doc. 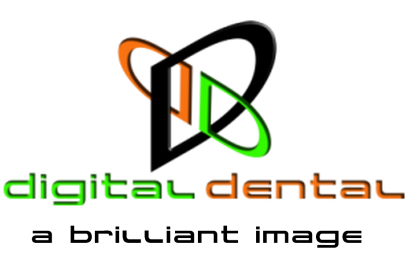 Digital Dental was established in 2000 when John saw the need for a specialist, but independent, digital imaging company that could combine different manufacturer's hardware with open dental imaging software and integrate it with any practice management system. After 19 years providing bespoke digital imaging solutions we have a wealth of experience. This experience combined with the widest range of 2D and 3D solutions ensures we can deliver the right digital imaging solution for your practice. Our own team of dedicated technicians provide service and support using the latest diagnostic equipment and software. To improve our service we heavily invested in electronic x ray test equipment and calibration tools. This means we can supply and immediately test any dental x ray equipment, including 3D Cone Beam CT machines. Digital Dentistry is a fast evolving arena, so our advice is that you are better dealing with the specialists who are completely focused on it. ​ Rather than companies who have it as just part of their equipment portfolio. Digital Dental have been established over 19 years and have spent that time constantly improving our experience and level of knowledge in our specialist area of dental imaging and digital radiography. Providing you with the right solution is only half our task. The other half is to make sure you get the best from your investment and are looked after properly for years to come. ​We don’t want to be the biggest we just want to be the best. Make time for the right decision. ​You will be investing in new diagnostic tools so it is important that you allow enough time to make a truly informed decision. So whilst it is tempting to book demonstrations at lunchtime it is often not enough time for us to fully demonstrate the systems, let you try them out and discuss your requirements in detail. ​That’s why we will visit at a time that suites you and would recommend you set aside at least 1 ½ to 2 hours. No problem if it’s after work or early morning.